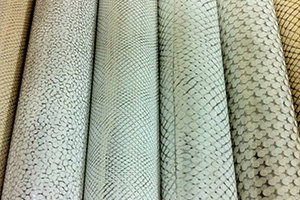 UES Foils supply different types of hot stamping foils for textile and leather printing purposes directly from the warehouse. Our stock foils range from plain to holographic, metallic to matt, transparent to oil effect and flexcoat to multicolor foils. In total, UES Foils collection contains more than 300 color options. These wide range of hot stamping foils are surely to satisfy customers foiling needs. 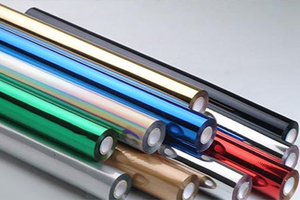 UES Foils manufacture self adhesive crystal foils mainly in transparent colors using the best quality raw materials from Italy and Germany. Our production is not limited only in transparent, we manufacture in white and black colors when requested. At the same time, crystal foils manufactured with combination of hot stamping foils in any color, therefore at one press it can achieve both design and color without using any sort of glue. 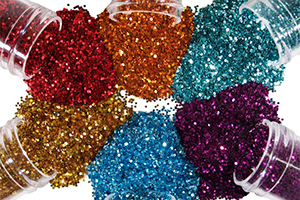 Glitters are used for many different applications in fashion world, UES Foils supply more than 28 color option glitters from their warehouse. They can be applied to the surface by water based or solvent based glue. These shiny little powders provide such a glamour to our wardrobe. We are exhibiting at the London Print Design and Texfusion Fair. We are ready to present our additional new colors of hot stamping foils, newly developed crystal foil patterns and some sample products showing the way of usage. Our stand located in I2. 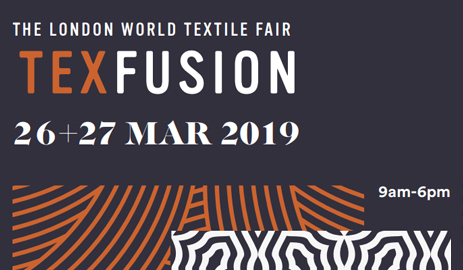 We hope to see you at Texfusion. UES Foils welcome serious agents and distributors from all over the world in textile and leather printing sectors. UES Foils is ready to support suitable applicants with free samples, catalogues and other marketing materials and willing to work closely with the agents in the region. 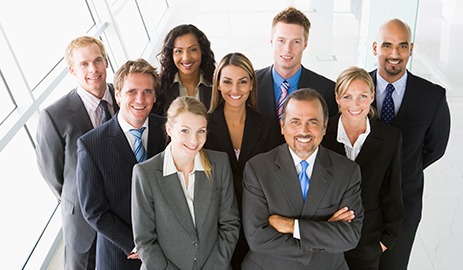 Our goal is to share our benefits with the agents and keep them motivated with necessary promotional discounts. For more details, please contact amangul@uesvarak.com stating your region and short introduction of your firm. We will evaluate your details and get back to you within 24 hours. 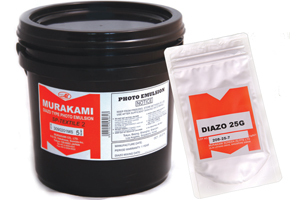 We are the only distributor of Japanese famous photo emulsion Murakami in Turkey. It is important to use good quality emulsion for your screen printing work to make sure its high resistance. 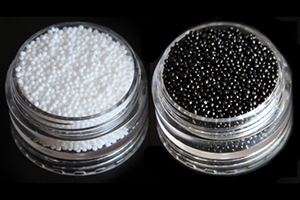 UES Foils supply good quality phytalate free caviar beads from stock in small and medium sizes. Currently our stock ranges from white and black caviars and collection may expand to transparent and dyed caviars in the near future. UES Foils always paid attention to their customers need and tried to make thier job easy for them. These squegee blades will help workers to perform their printing job smoothly and efficiently. 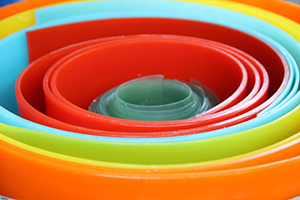 Our stock contains different shores and sizes of squegee blades to meet customers demand.